What a year! 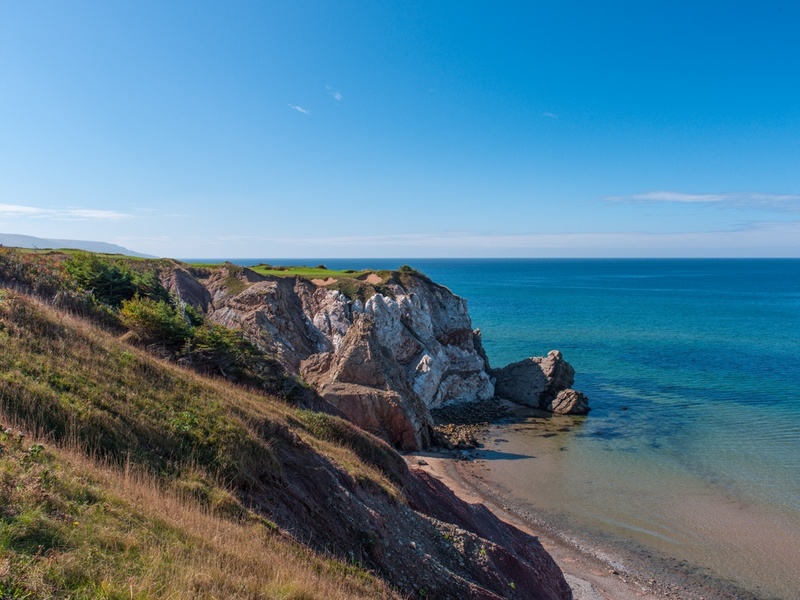 Between launching preview play at Cabot Cliffs, hosting the PGA Championship of Canada, and being named North America’s Best New Course, there were a few too many highlights to count. 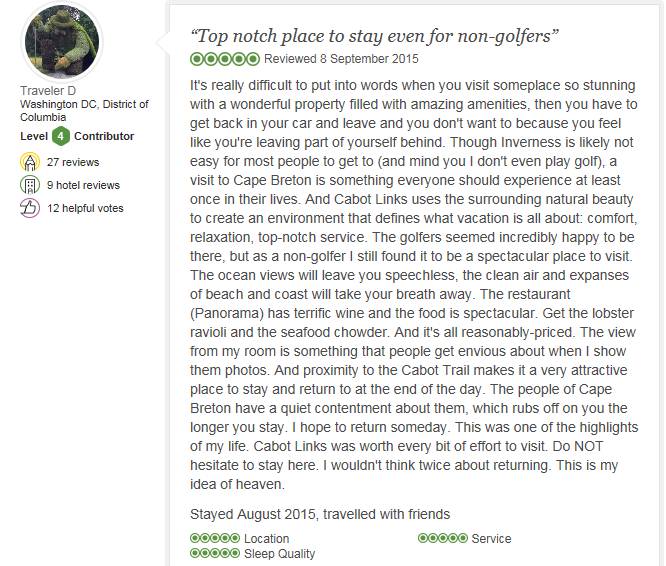 We decided to take a look back via some of our favourite tweets, reviews, and photos from 2015. Did we forget a special moment? 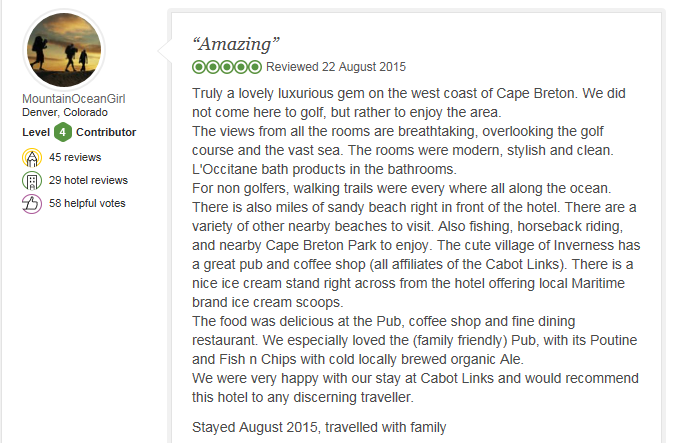 Do you have your own Cabot highlights from 2015? Share with us on Twitter, Facebook, or Instagram! 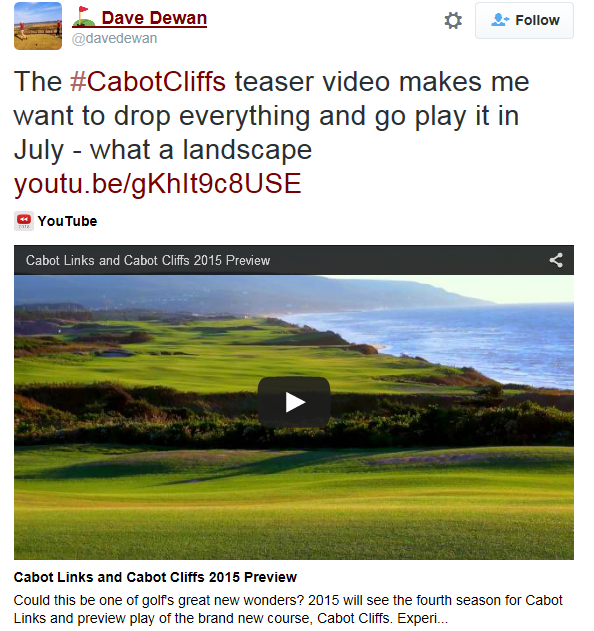 We love this tweet about our 2015 preview video! You can view the video here. 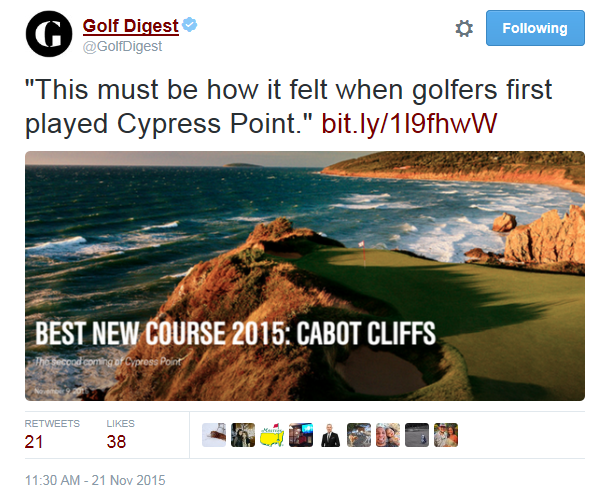 This tweet from @MattGinellaGC was definitely a highlight of our Cabot Cliffs Preview Play Launch back in July! 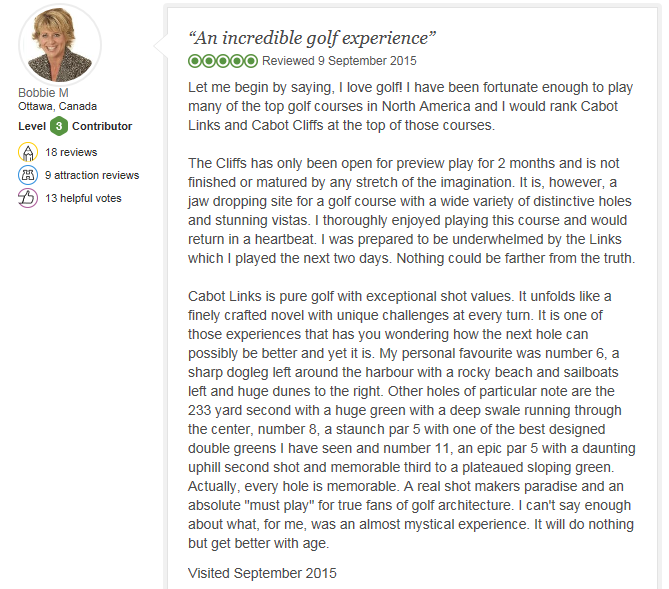 Not only did we appreciate these kind words tweeted by golf.com, but we also loved the video it links to. One of our favourite pieces of the year! Check it out here. This one is pretty self-explanatory. Being named North America's Best New Course was an incredible way to end a wonderful season of golf. 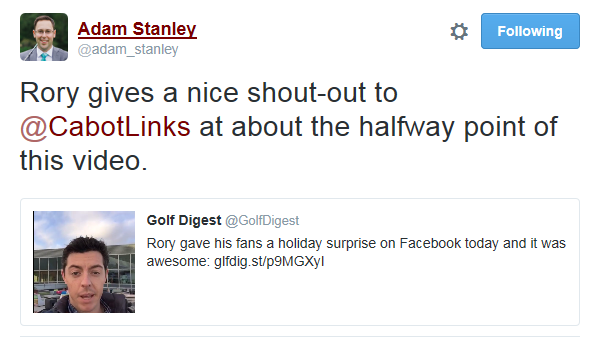 This shout-out from Rory MacIlroy was pretty awesome. Bonus tweet - because, well, it's Anne Murray! 1. This stunning drone shot was taken by Evan Schiller towards the end of the golf season. 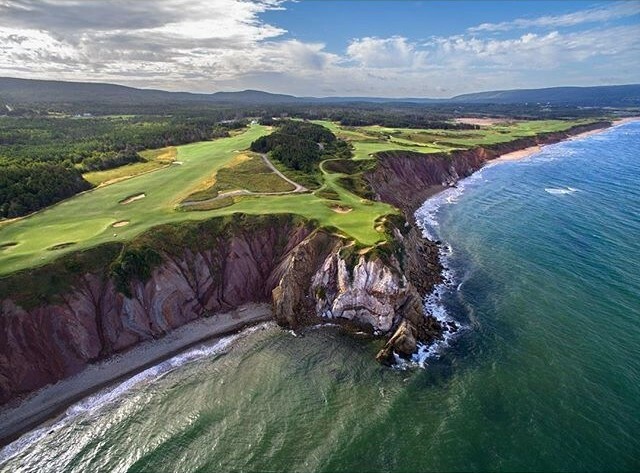 It offers a unique perspective of the golf course, looking down on the 16th green with a view that stretches right down the coast. 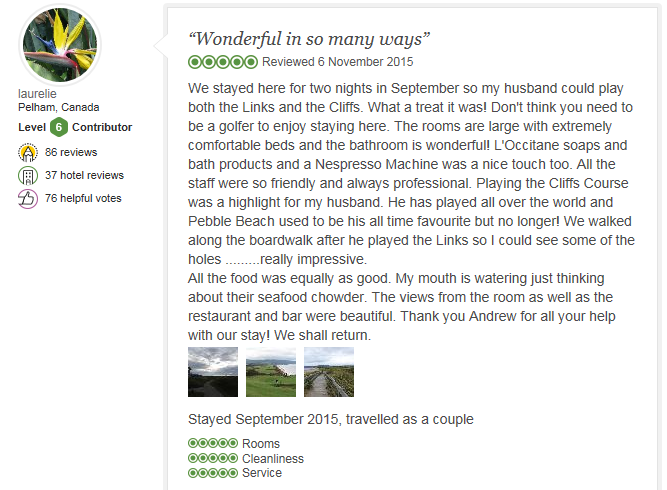 We liked it so much we featured it on our Christmas cards! Evan has shared a wide variety of photos from his time at Cabot on his twitter account @Evan_Schiller. Check it out! 2. 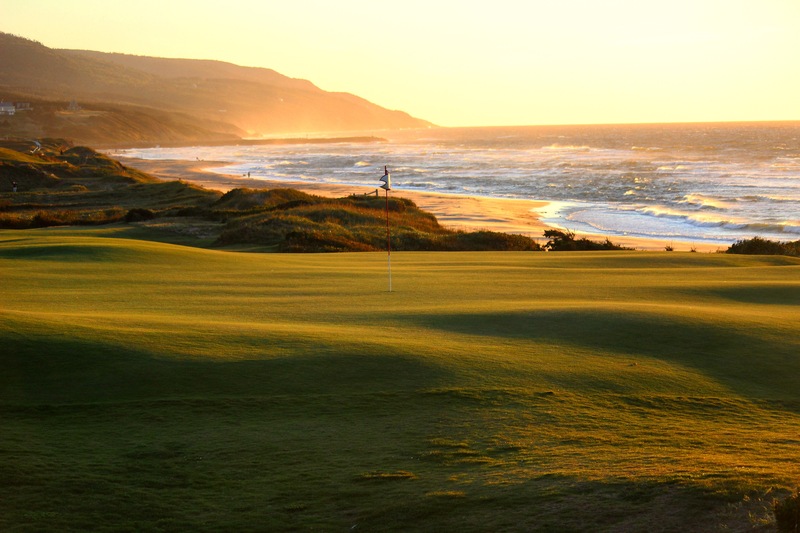 This beautiful photo looking back from the 15th green at Cabot Links makes for a wonderful screen-saver! The photo was taken by James MacLellan, a local amateur photographer. Name sound familiar? 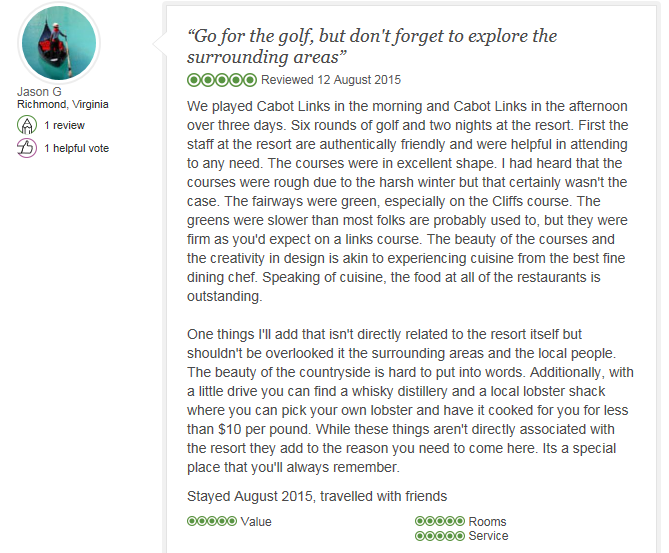 That is likely because James is also a caddie at both Cabot Links and Cabot Cliffs! 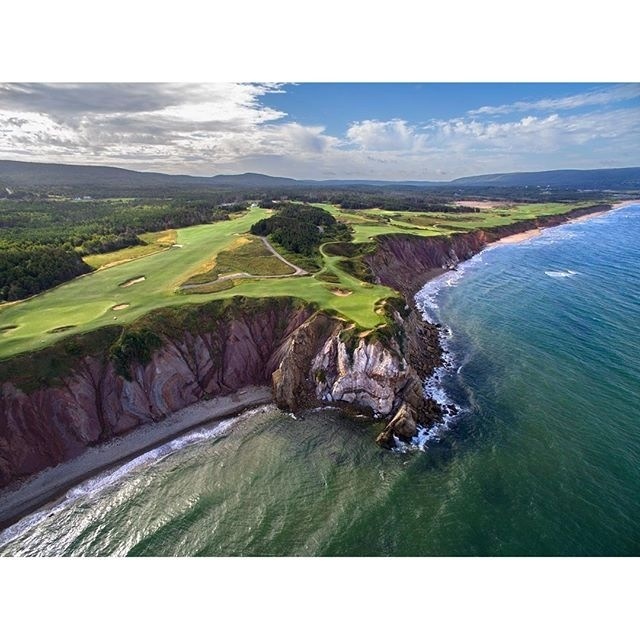 3.This photo of Cabot Cliffs' 16th is likely etched into the minds of anyone who has played Cabot Cliffs. The iconic photo was taken by Larry Lambrecht of Lambrecht Photography. 4. No, this photo does not feature coastal views, nor stretching fairways ... but it does feature a puppy! This photo of Kaylee, an honourary member of our turf crew, is our most popular instagram photo to date! 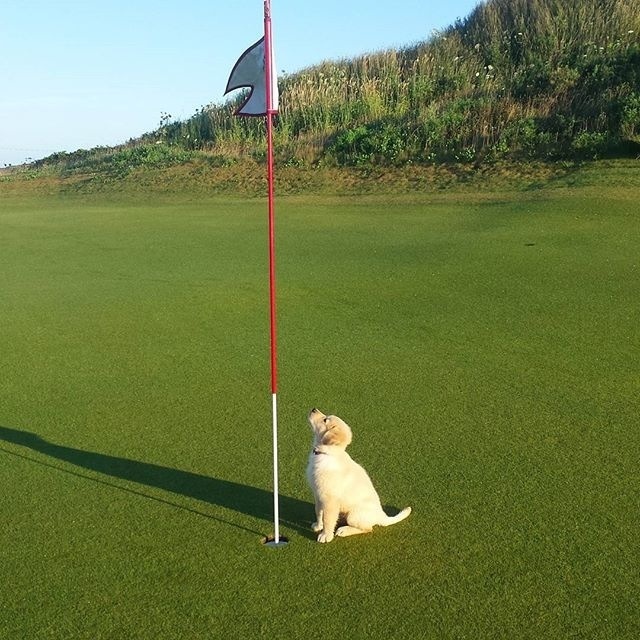 Credit for this adorable photo goes to Kaylee's owner, James Bryce, who is the Golf Course Superintendet for Cabot Links. 5. 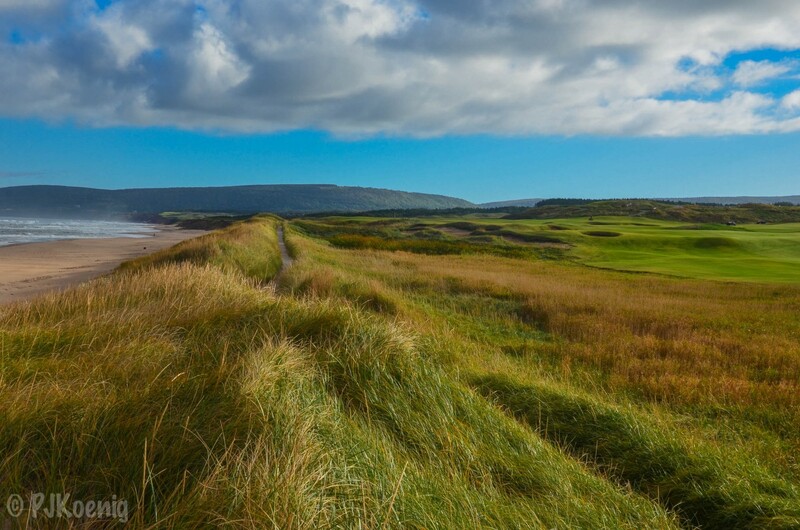 This gorgeous photo of the boardwalk that lines both the beach and the Cabot Links golf course showcases just how close the course is to the ocean. The photo was taken by Patrick Koenig - you can check out more of his work on his instagram page @pjkoenig.